The better we understand Jesus, the better we understand ourselves. But who was Jesus, this itinerant preacher whom many called the Messiah? 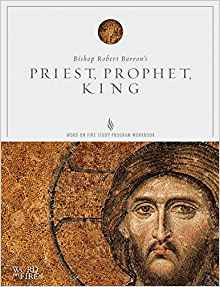 In Priest, Prophet, King, you'll discover Jesus as the Anointed One - the ultimate priest, prophet, and king foreshadowed throughout the Hebrew Scriptures. Using biblical insights and engaging stories, Bishop Barron affirms that we see Jesus most clearly through the lens of the Old Testament.